We put summer produce on sun-soaked a pedestal, cooing over it and the way it needs only a little sprinkling of salt, maybe a drizzle of good olive oil. We rhapsodize perfect garden tomatoes or fresh sweet corn like we do our first love. And it’s all true, and completely deserved. Fresh summer produce is miraculous. It really would be a shame to do much more than serve it in a minimalist state, an ode to the garden. And the essays that have been written on the subject, well, I have nothing to add to them that hasn’t been said. But, sometimes I get a little sick of how it presents absolutely no challenge at all. For a perennial over thinker who finds a bit of solace in occasionally (ahem, or frequently) over thinking dinner, I get every so slightly unnerved by the absolute lack of thought or foresight needed to throw together a perfect summer supper. It is variations on a theme here nearly every day. Bushels of vegetables with a bit of sea salt and olive oil either raw or grilled. Sometimes they’re a salad, sometimes mixed with pasta or piled on a slice of toast. Sometimes they’re accompanied by a bit of grilled meat or fish, again with but olive oil and salt for seasoning. In a way it’s like the Pachelbel’s Canon of food. What’s there is fundamentally brilliant, moving, gorgeous. But you start to forget that fact and find yourself feeling sick of it because it is so aggressively overplayed. Of course, if you’re hanging out in sophisticated circles should you try to point out that Pachelbel’s Canon is actually a beautiful piece of music you’ll probably be laughed at, while if you admit that you’ve been unhinged by the unbearably uncomplicated perfectness of the perfect tomatoes and eggplants and peppers you’ve consumed this summer, you’ll be driven out as a heretic. Then again, here I am grousing and grumbling, but just you wait, my annoyance lasts only until I’m at the table. Then one bite and, ohhhh. There I am exalting produce with the best of them. The season is so short, after all, perhaps I can, I should, I do relish the cadences and motifs one finds in a series of variations on a theme. In a small bowl, stir together the yogurt, garlic, lemon juice, saffron and smoked paprika. Add salt to taste. Cover and refrigerate until you’re ready to use (the saffron and paprika flavors will mellow and blend in more nicely with the others if you give it a little time). Light up your grill and get it preheating. In a large baking tray (you’ll probably actually need a couple), drizzle a good dousing of olive oil all over the vegetables and sprinkle them generously with salt and pepper. I used a mix of eggplant, peppers, and squash, but really you can use what you have. I basically can’t think of a grilled vegetable that wouldn’t taste good with everything else going on here. 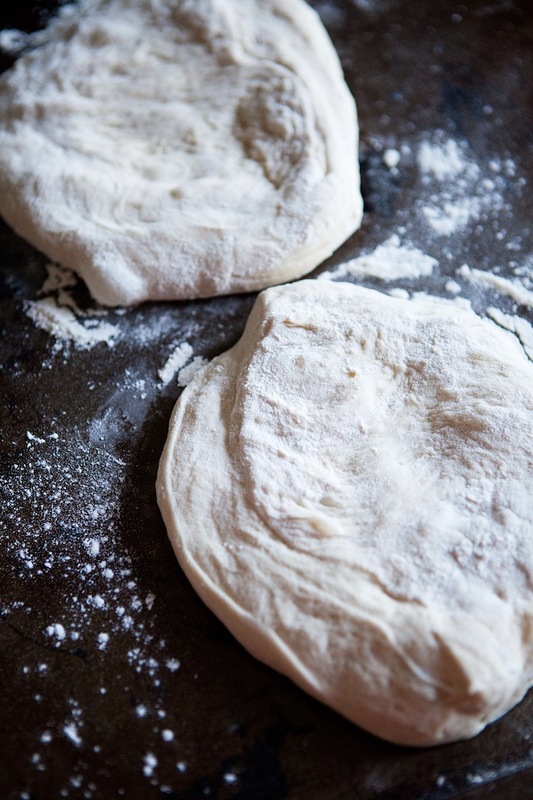 On a lightly floured surface, divide your dough into two or three pieces and roll each out into a 1/4 inch thick circle (or a shape somewhat akin to a circle, there’s no need to be perfect). Brush both sides of each rolled piece of dough lightly with olive oil. If you prefer, you can also divide it into 6 pieces and make an individual sized flatbread for each person. 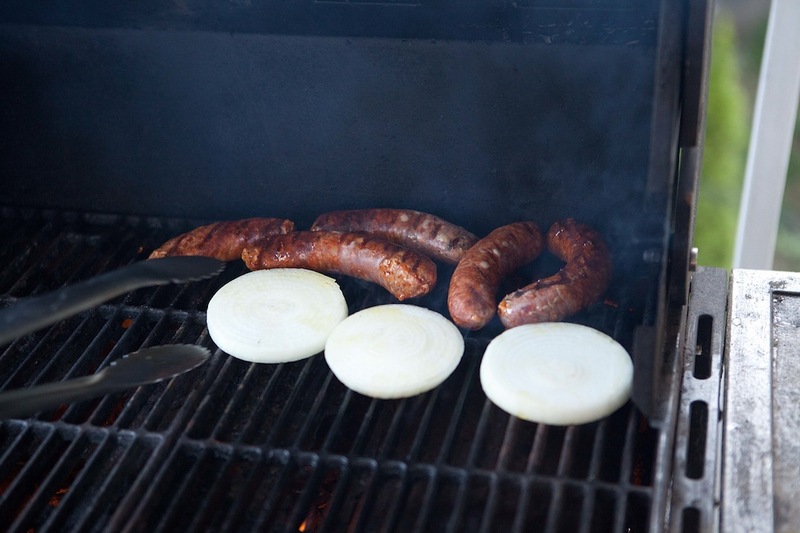 Place the chorizo and the vegetable pieces on your grill (you may need to do the vegetables in two rounds), and grill them over moderately high heat, turning frequently, until they are nicely charred on the outside and cooked through, about 15 minutes. Take them off the grill and keep them warm. Transfer the lightly oiled dough rounds to the grill. Cook them until they are bubbling and have grill marks on the bottom and release easily from the grill, about 3 minutes. 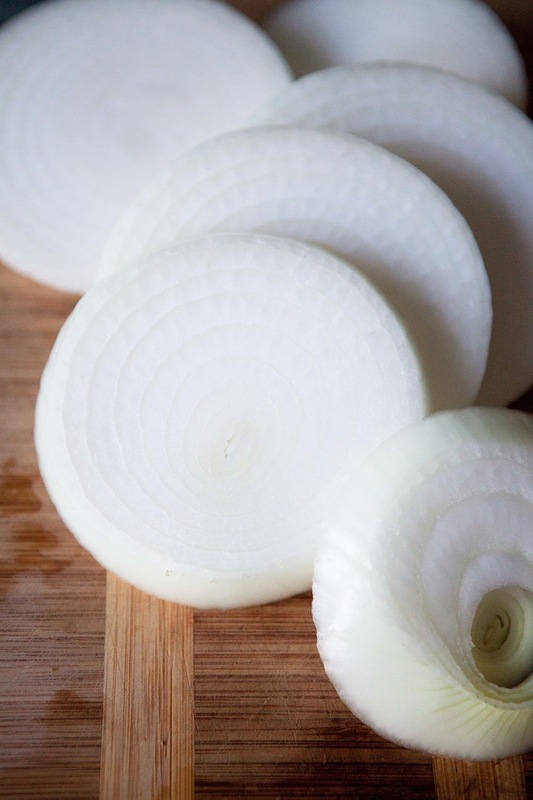 Use tongs to flip them and cook them 1-2 minutes on the second side, until cooked through. Remove from the grill and cut the bread into large wedges. 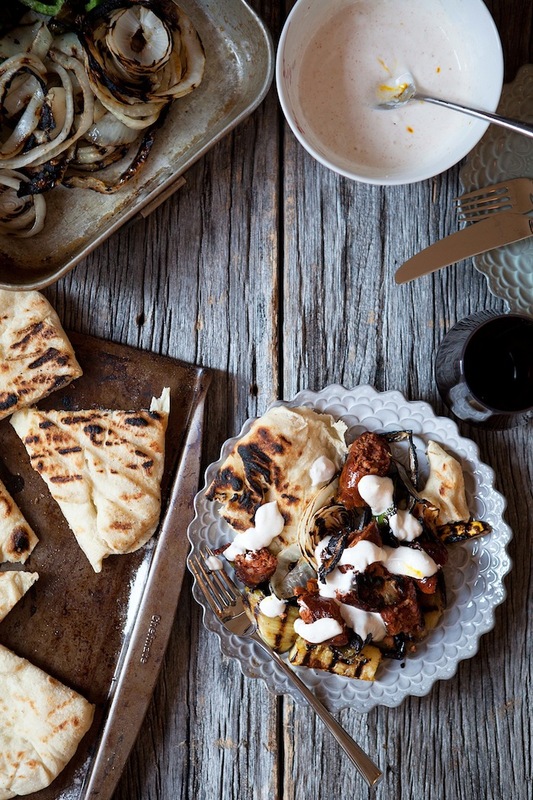 Serve the chorizo, vegetables, and bread together accompanied by the yogurt sauce. You can attempt to make sort of sandwiches, or you can just pile everything on your plate and dig in, which I prefer. 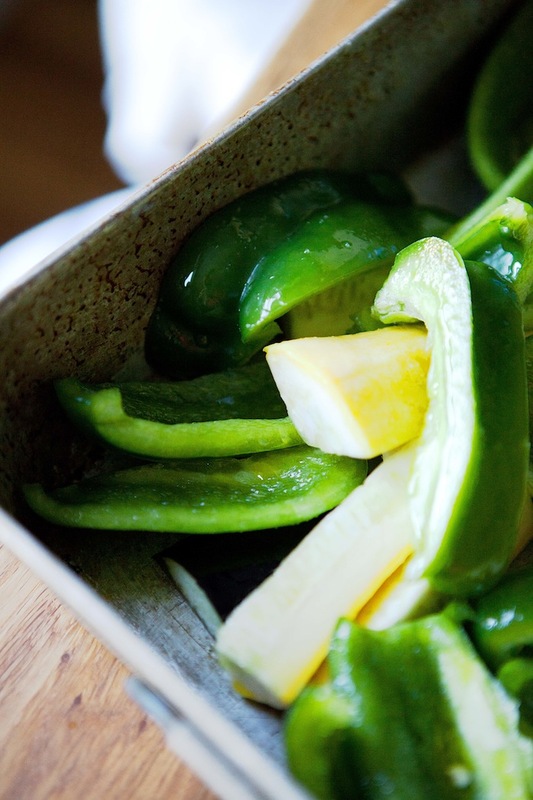 Em – Our version of this is charred eggplant, bell peppers, onions and garlic. We char the vegetables whole and then remove the burnt skin and chop them up. Then we add oil, salt and balsamic vinegar and toss. We eat it with grilled sausages and bread. We’re eating our way out from under the cucumbers, peppers and tomatoes that our garden is producing. I’m hoping it’ll produce a bushel of eggplants next! Awesome! I did think it seemed like something you guys would make! 🙂 Lucky you for your abundant garden. Ours is so shady we’ve mostly just grown lettuce and spinach, but our beans did pretty well. Maybe is the short season and overabundance of produce that makes it annoying in the end… nothing for months and suddenly everything together! 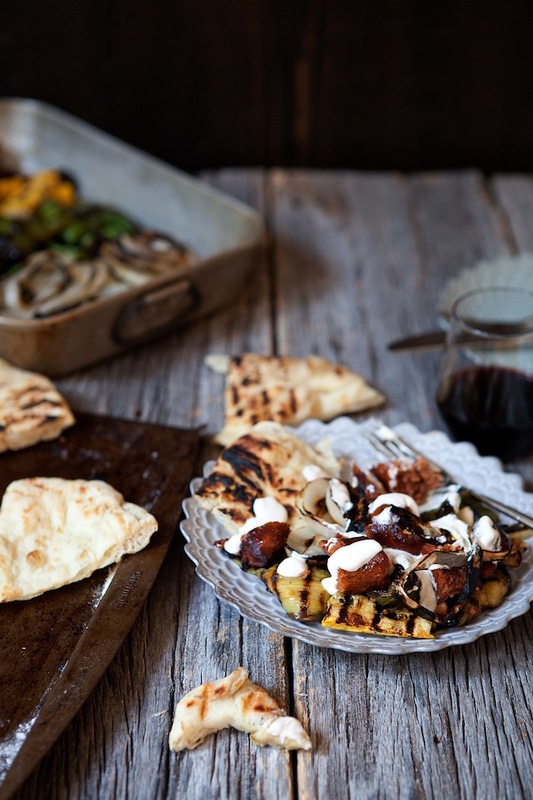 Love, love the grilled chorizo with everything you served it with. Here we gulf if down by the pounds in summer with some chimichurri and french bread. Beautiful pics! I think you may be exactly right. As they say, it never rains but it pours! amazing, gorgeous photos! i love this dinner idea! it needs to happen soon. I think the yogurt sauce is a wonderful addition. Thank you. It worked really nicely with everything else. We make variations on this pretty much every week in the summer – it’s good with whole unpeeled garlic cloves tossed in with the veg too. That sticky roasted garlic spread over the bread with a mouthful of roasted summer veg goes down perfectly! Also – sourdough flatbreads. Enough said. Sourdough flatbreads! Ah! Genius! I use my starter to bake our bread each week, yet somehow I haven’t made sourdough flatbreads yet! That must be remedied. And roasted garlic is a big yes. They are genius! I mostly use this recipe as it’s pretty quick: 100g starter, 150g flour (white or mix), 1/2 tsp bicarbonate of soda, pinch salt, 2 tbsp olive oil. Mix together to make soft but workable dough, knead 5 mins and leave for at least 3/4 hour – 2 is better. Cut and shape into small balls, heat flat griddle over high heat, and stretch/roll dough to about 1/2cm thick. Cook quickly on both sides, keep warm under tin foil. yummm that dough looks amazing, and I love all of your other posts–especially the goat cheese one! 🙂 I’m a new follower to your blog! Be sure to check out the collaboration lifestyle blog between my twin sister and I that features everything that inspires us from fashion to food! & follow us through our email subscription, via bloglovin’, or on your Google Reader feed (or get updates through our twitter @BKCsquared). 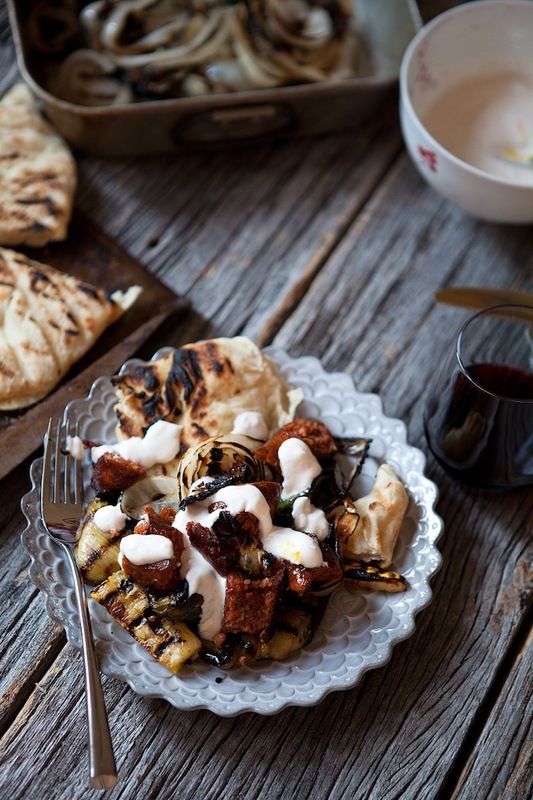 You are currently reading Grilled chorizo and flatbread with charred vegetables at Five And Spice.